With iCap, you can capture images and video directly onto your computer hard drive or a network location from any external video source! You can also record full-motion video clips of your procedures. The clips can then be used to be sent to colleagues for analysis, or in an educational environment, such as a classroom or lab. The system catalogs the images by an identity for later review, reporting, e-mailing or printing. An image export feature allows you to place images directly into report templates. The iCap System also gives you the ability to annotate your images with text, lines or shapes! Because the software is Windows-based, it offers the user the ability to easily network multiple capture stations together with a server to create an image archival network. The images and reports are standard image files and documents that can easily be shared via e-mail, FTP, and easily linked to most electronic record keeping systems and contact management programs. Designed to work with or without a touchscreen monitor, the iCap system can be used across a variety of settings. It utilizes an icon, push-button style interface, making the system as easy to use as an ATM, with most actions being completed with just one or two clicks! Camera or device that provides an IEEE-1394 or USB. compatible digital format for recording. A video digitizer that will convert analog video to digital. 500MB of free hard drive space. A dedicated color video graphics card is recommended for best results. 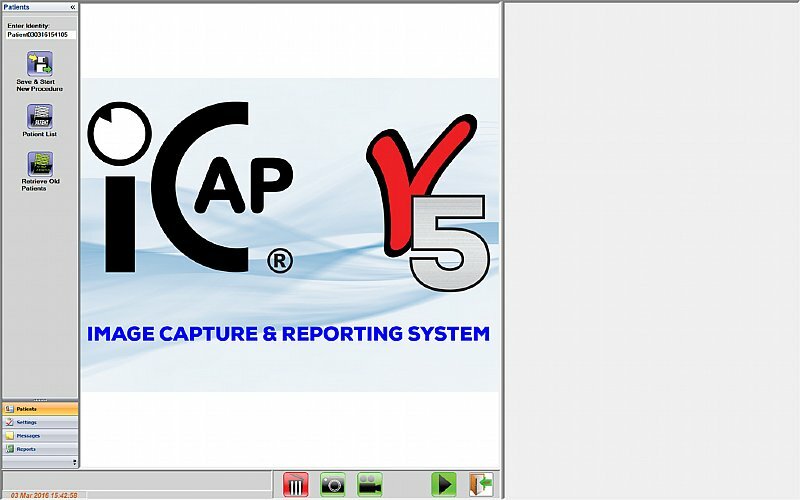 Want to learn more about the iCap Image Capture & Reporting System? online store or contact us today!